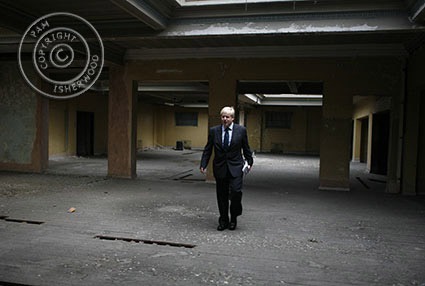 Boris Johnson, Tory mayoral candidate, visits the Seven Sisters market the day before the election. This is the top floor of the derelict store, which can become great again. His subsequent intervention has been very helpful, and was possibly the main reason why the planning meeting on 24th July got postponed.